Portland, Maine, March 2019– Creative works from Maine art students will be on display during the month of March at the Portland Museum of Art (PMA). 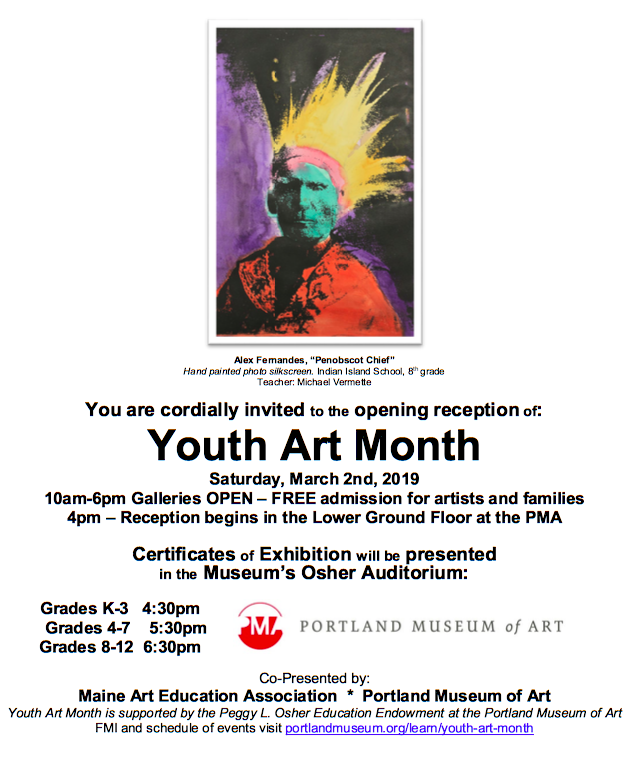 This multi-media exhibition, sponsored by Maine Art Education Association (MAEA), highlights Youth Art Month, a national celebration sponsored by the Council for Art Education. The annual celebration, which typically takes place in March, emphasizes the value of art education for all children and encourages support for quality art programs in Maine schools. This event marks 25 years of collaboration between the Portland Museum of Art and the Maine Art Education Association to celebrate student creativity from pre-kindergarten-12th grade. Guest speakers for the event include representatives from the Portland Museum of Art and honorees as named by the Maine Art Education Association. This year’s MAEA Award for Excellence in Art Advocacy recognizes Waterfall Arts for long-standing support of arts education and youth creativity. Teacher Holly Houston from Yarmouth High School will be speaking as MAEA’s 2019 Art Educator of the Year. The exhibition runs from March 1, 2019, through April 1, 2019 on the Lower Ground Floor of the PMA.The celebratory opening reception is Saturday, March 2 from 4:00pm to 7:30pm. Presentation of certificates will start with pre-kindergarten to third grade at 4:30pm, fourth to seventh grade at 5:30pm, and finally, eighth to twelfth grade at 6:30pm. Please consider scheduling your arrival to allow time to enjoy the exhibition and the museum’s collection. 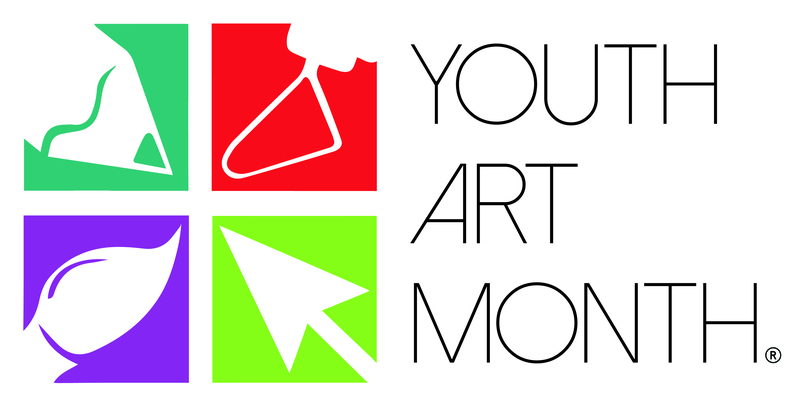 The galleries close at 6 p.m.Admission to the Youth Art Month exhibition is free the day of the opening for Youth Art Month participants, their families, and teachers. Children 14 years and under are always free at the PMA..
As many of you know there is a fabulous exhibit at the Portland Museum of Art (PMA). Earlier blog posts can be found by using “Ashley Bryan” in the “search archives” box on the right side of the blog. What you may not know is that there are performances taking place that brings Beautiful Blackbird, one of Ashley’s books, to life. Learn more about the Beautiful Blackbird performances on the PMA website. PMA Family Day on October 20th, which will include an art making activity inspired by the cut paper collages and written words of Ashley Bryan, 11 am to 3 pm. PMA Film screenings of I Know a Man…Ashley Bryan created by Richard Kane, in early November. Discover how you can use theater to get your classroom excited about books, reading, and art. 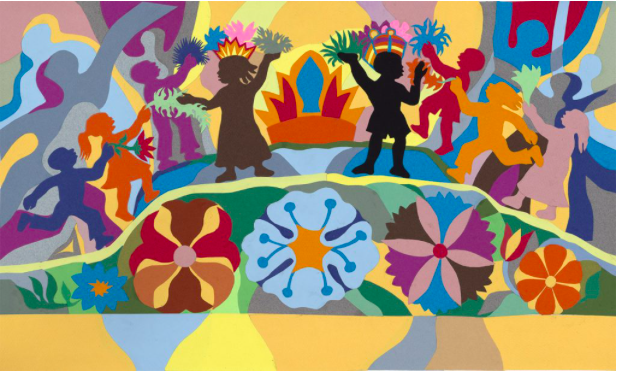 Join Side x Side’s lead teaching artist Gretchen Berg for a hands-on, minds-on theater workshop inspired by the exhibition Painter and Poet: The Art of Ashley Bryan. Berg is a teaching artist and educator with over 30 years of experience. She is well known across New England for her work with educators and students to integrate theater, dance, and the visual arts into classroom curriculum. Berg holds an Ed.M in Arts in Education from the Harvard Graduate School of Education, and has taught at Harvard University, Bowdoin College, Bates College, and the University of Southern Maine. FMY contact Emily Junker, Learning and Interpretation Assistant, PMA. 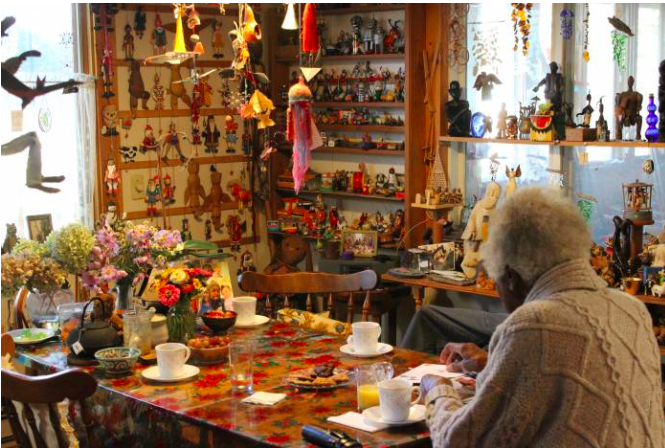 “At 95, Ashley Bryan, a resident of Little Cranberry Island’s village of Islesford for more than three decades, is one of Maine’s most important artists. The list of problems starts here: We don’t know him. 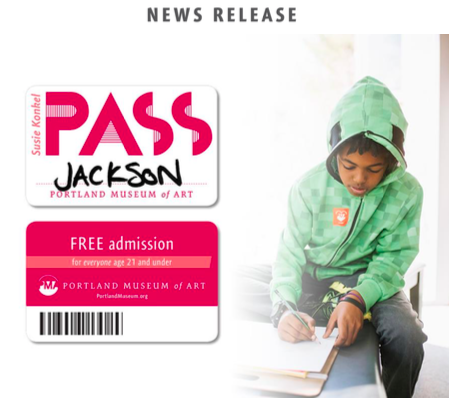 If you’re a teenager, you’re invited to the Portland Museum of Arts (PMA) for a special event: 3rd Annual Teen Night at the Portland Museum of Art. The PMAs seven Homer High School Fellows have designed You Are the Masterpiece, a teen-centered night, complete with art-inspired photo booths, teen-oriented tours, pin-making, free food, music, and a raffle. The event is FREE and is this Saturday, August 18th from 7:00 pm to 9:00 pm. The PMA will only be open for teens at this time. This night was planned by the Fellows with the hopes of inspiring and empowering other teens by placing them into PMA masterpieces. All teens (ages 13 – 19) are welcome to attend. If you know of any young folks ages 13-19 that may be interested, we’d be very grateful if you could share this with them. More info can be found on our website ( PMA: Teen Night ) or on Facebook ( Facebook: Teen Night ). 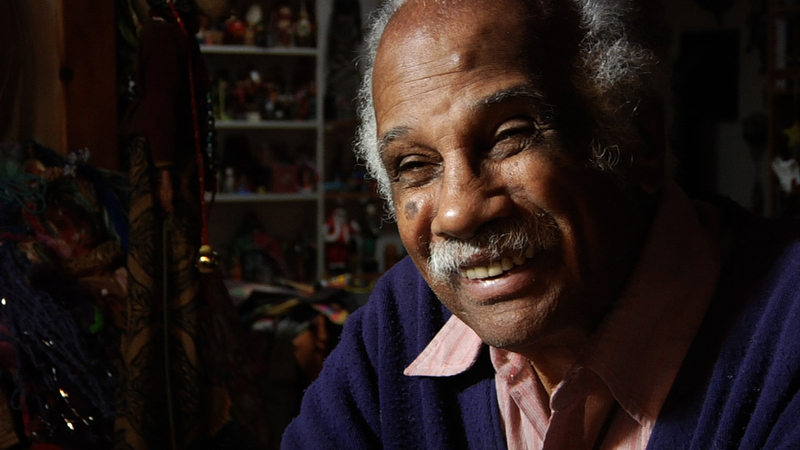 Ashley Bryan’s prolific and varied creative career has spanned more than half a century, and this is the first major art museum exhibition in Maine for the award-winning, 95-year-old artist and Little Cranberry Island resident. 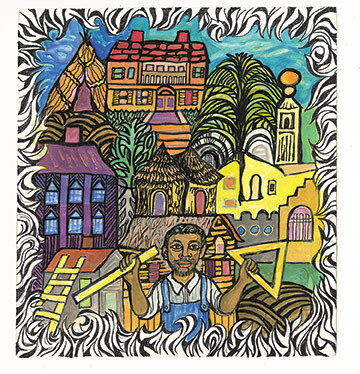 A pioneer of African and African American representation in the children’s book medium, Painter and Poet highlights the breadth of Bryan’s work, from his earliest books of African folktales to his 2016 book Freedom Over Me: Eleven Slaves, Their Lives and Dreams Brought to Life by Ashley Bryan, which won a Newbery Honor and Coretta Scott King Honors in both Author and Illustrator categories. Beautiful Blackbird: An Adaptation of the Story by Ashley Bryan presented by the Theater Ensemble of Color. This will take place at the PMA and also at USM where you will be able to bring students to the play. Watch for more information on this opportunity. Coming in November. PMA Films presents I Know a Man…Ashley Bryan. Take a trip to Bryan’s Little Cranberry Island and into his home and studio in this article from the most recent edition of the PMA magazine, Inside the Circle. All visitors age 21 and under will receive free admission automatically when they visit the PMA, but young people or their guardians can also increase their level of engagement by signing up for the, which will provide the holder opportunities to attend special events including select free screenings of PMA Films, ways to stay up to date on museum happenings, and more. With an extensive collection and nationally renowned exhibitions, the Portland Museum of Art (PMA) is the cultural heart of Maine. The PMA boasts significant holdings of American, European, and contemporary art, as well as iconic works from Maine—highlighting the rich artistic tradition of the state and its artists. The museum brings it all to life with unparalleled programming. From special events, Free School Tours, and a commitment to family activities, to PMA Films, curator talks, and exclusive tours of the Winslow Homer Studio—it’s all happening at the PMA. Admission is $15 for adults, $13 for seniors, and $10 for students with I.D. There is always free admission for everyone age 21 and under, provided by the generosity of Susie Konkel. Admission is free for all, every Friday from 4 p.m. to 8 p.m.
No admission is required to visit the PMA Café and PMA Store. Winslow Homer Studio tours are available by reservation. For more information, call (207) 775-6148 or visit the Portland Museum of Art website.